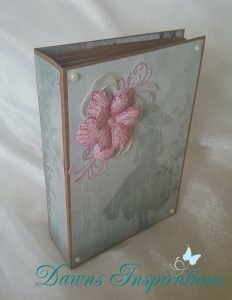 This Easy & Fast Mini Scrapbook Album is the Perfect Project for a Newbie/Beginner crafter and a fast project for a seasoned crafter! Just follow my Step by Step Video Tutorial for great results every time. Have you wanted to try your hand at making a Mini Scrapbook? Not sure How To or Where to start? This Step by Step Video Tutorial is just what you need! 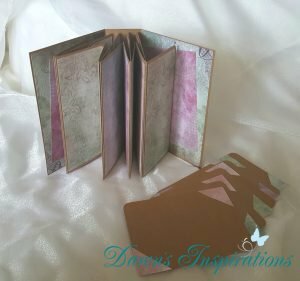 Are you a seasoned crafter who wants to make quick mini scrapbook albums with very few supplies. To get your download, just complete the form below and enter your details and you will get taken to the page to download the instructions. Love this album, so looking forward to making this. Thanks so much Dawn love your videos. Thank you Margaret and I am sure you won’t be disappointed. It is a Easy project that is Fast to make. Enjoy! Hi. I’ve been using your tutorials for quite awhile. Thanks so much.